Every time I walk past American Girl Place on Michigan Avenue, I am delighted to see little girls happily walking with their dolls. As a teacher, I appreciate the American Girls for their educational component – the accompanying books really bring history to a child’s level, encouraging them to explore the backdrop of their doll’s era. As a mom, I appreciate the quality (and the adorable accessories!). As soon as my almost two-year-old little girl is at the right age, I’m sure we’ll be spending a lot of time at American Girl Place Chicago! 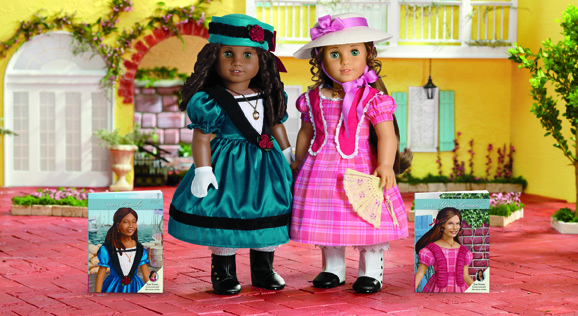 American Girl has just launched two different historical characters, Cécile Rey and Marie-Grace Gardner, who both share six-book series set in 1850s New Orleans. Join Cécile and Marie-Grace on August 29th, when American Girl Place Chicago will host a special Cécile and Marie-Grace Charity Ball. Guest will enjoy a New Orleans-themed meal, learn ballroom dance steps, make fun crafts, and more. A portion of the proceeds from the ball also helps support the Ellis Marsalis Center for Music. Make a weekend of it by booking an American Girl package at the charming boutique Talbott Hotel: As part of the Spirit Package, young guests and their American Girl dolls will be welcomed with a personalized letter; be treated to milk and two Sprinkles cupcakes at turndown; and receive a keepsake American Girl doll-sized travel bed. The experience al so includes a continental breakfast for two. Rates for this package start at $185. 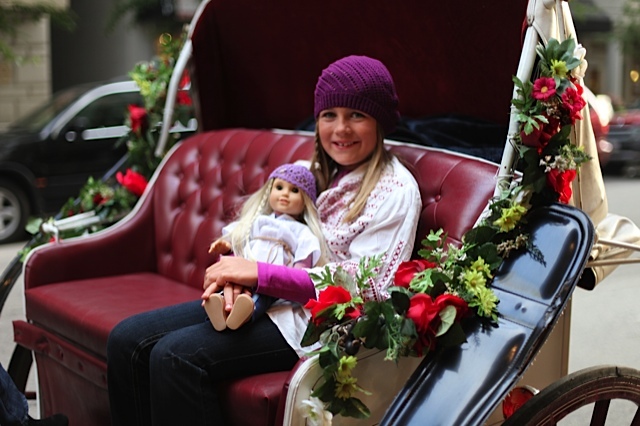 The Imagine Package includes all of the amenities of the Spirit Package as well as a one-way horse-drawn carriage ride from The Talbott Hotel to Chicago’s American Girl Place, six photo postcards, and Talbott hotel stationary, a guest room keycard, and room service menu – all personalized with the girl and her doll’s names. Rates for this package start at $224. This entry was posted in Family and tagged American Girl Place Chicago, Girls Weekend Chicago. Bookmark the permalink.